Will Tenstreet integrate with our HR software? Can Tenstreet talk to our AS400? How much data is transferred, and is there a fee? As a software company, our sales, account management, development, and technology teams field a lot of great questions every day about integrations and data sharing. And while you most likely recognize the acronym API, you’re not alone if the mere sound of those letters together still has you scratching your head. Even more importantly, how does this all work at Tenstreet? To help fill in the gaps, we’ve created this guide to help clients understand the basics of the Tenstreet API. API stands for Application Programming Interface and is used to build software applications, but don’t fall asleep yet. Basically, an API is a messenger who takes the questions you have, collects the answers, and delivers the responses back to you. An easy way to understand this is by using the example of a waiter in a restaurant. Without the waiter, you as a diner would have no way to tell the kitchen that you want to order the chicken and waffles. You are a system, and the kitchen is another system. 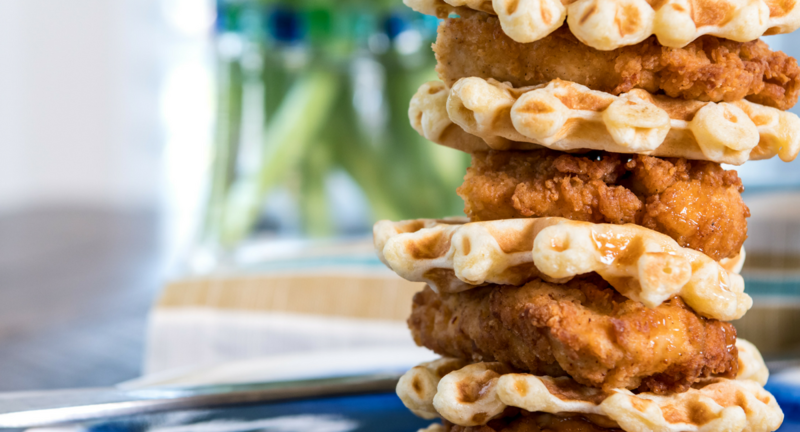 Think of the waiter as the API that connects the two of you by first taking your order to the kitchen and then delivering you your request – in this case, chicken and waffles. How does Tenstreet’s API work? For example, a client may wish to send lead application records that they’re getting elsewhere to Tenstreet so that all their data lives in one system. Our API has no problem handling this. The more common case, however, is the latter, in which Tenstreet sends over the data that we house to a client’s internal systems, like their AS400 or HR software. How much data is sent over? When does the data transfer? Whenever you want it to. We can make this a manual process that you can run from your side at your leisure, or we can set it up on an automatic scheduler so it runs at the same time every night (for example). Additionally, we can trigger a POST on a subject update. It’s totally up to you and what makes the most sense for the way your business runs. Can you walk me through what the process looks like to receive data? The client submits their request along with a brief description of what they will use the data for using this form. After a simple approval process, the client then provides the URL for the listener for us to POST to. Thinking back to our restaurant example, the listener is the kitchen, and Tenstreet is the diner. But it could work either way. Tenstreet sends the information requested (e.g. subject data (i.e. chicken and waffles)) to the listener. The client provides either an accepted or rejected response to communicate that the process was successful. Steps 2-4 are repeated until all data has been transferred successfully. Our most popular API option offers clients the ability to receive lead information or send detailed subject information to and from the client. This includes subject data and/or documents. We’ll also send data to third-party companies. This option is $100 per month for up to 3 client-specific interfaces. Our Advanced API offers even more perks – here you get all the benefits of our standard API plus the ability to set tags and handle more complex routing using your application data (like custom questions). Our advanced API is $200/month for up to 2 third-party companies. A third API option gives clients the ability to translate reports into XML and delivers data to the client (or a 3rd party company) in real-time or on a scheduled basis. The price for this option depends on client size. What kinds of integrations does Tenstreet already have? Tenstreet offers dozens of integrations, and we’re adding more all the time. These are built-in integrations that don’t require you to use our API. Our current integrations are with companies that handle background screening, driver travel, video training, call tracking, job boards, human resource management, drug screening, and more. Can Tenstreet integrate with XYZ? Maybe! Send us an email to integrations@tenstreet.com and we’ll be in touch shortly to schedule a call so we can further discuss. Any other questions that we didn’t answer here? Let us know in the comments section and we’ll get them added (and answered).